The Greater Cincinnati Sports Corporation strives to enrich the community through the acquisition of amateur and professional sporting events, by maximizing economic impact and promoting the region as a premier amateur sports destination. GCSC has a 25 year history of hosting more than 250 sporting events that brings pride, visibility and positive economic impact to the region representing Cincinnati and Northern Kentucky hospitality partners with primary funding from the Cincinnati USA Convention & Visitors Bureau with underfunding from the Northern Kentucky Convention & Visitors Bureau and the P&G Fund of the Greater Cincinnati Foundation. 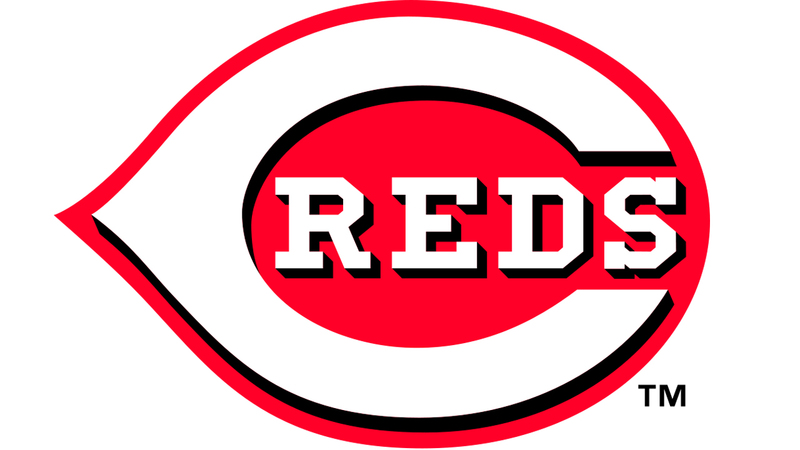 The Cincinnati Reds will host the NSF 2015 Budweiser Gala. Located on the winding banks of the Ohio River in downtown Cincinnati, Great American Ball Park serves as the home of the Cincinnati Reds and will serve as the home of the 2015 NSF Budweiser Gala. The Opening Night Celebration will be held at Paul Brown Stadium, hosted by the Cincinnati Bengals. The evening will include a behind-the-scenes tour of the stadium. Budweiser is back for their 12th year with the NSF as they are the Official Sponsor of the "Budweiser Gala" that will take place on the evening of Tuesday, February 10, 2015. Anheuser-Busch, Inc., a diversified corporation, is the world's largest brewer with 12 domestic breweries and distribution in more than 80 countries. The company's portfolio of more than 30 brands include Budweiser, the world's best selling beer; Bud Light, the world's number one light beer; Michelob; Michelob Light; Busch; and a variety of specialty beers, imports and non-alcohol brews. Daktronics offers the most complete line of integrated electronic scoring and display products available, including scoreboards for all sports and all levels of competition, and the latest programmable display systems that incorporate LED (light emitting diode) technology. No other company can provide truly integrated systems like Daktronics. From the largest video screens in the world, to small displays above ticket windows, to scoring and statistics systems for nearly any sport, Daktronics delivers. Other companies purchase third party components and attempt to make them communicate and work together. Daktronics systems are designed and manufactured to work together to improve effectiveness and operating efficiencies for teams and venues. LED video technology from Daktronics offers superb picture clarity, color uniformity and reliability. Many different sizes and configurations are available for indoor and outdoor use, Daktronics high resolution displays and control systems are HD-ready. Daktronics scoring and display systems are currently operating at 27 National Football League venues, 26 Major League Baseball parks, 19 National Basketball Association arenas, 20 National Hockey League venues, and more than 1,000 collegiate facilities across the country. Daktronics has sold more than 3,700 full-color LED video displays and has installed tens of thousands of scoreboards and displays in 95 countries worldwide. The company offers truly integrated scoring, video and sound systems with complete after-sales support. BioTE® Medical strives to provide patients the ability to live a more abundant and balanced lifestyle through cutting edge hormone pellet therapy. Balancing individual hormones, in both men and women, acts as a key player in preventing physical and psychological ailments that could occur in professional athletes over time. BioTE® believes that these ailments could be prevented and treated accordingly. BioTE® Medical’s therapy balances the levels of testosterone and estrogen in men and Women, which naturally decline with aging. Patients have seen a dramatic decrease in chronic pain, fibromyalgia, and arthritis due to the extensive benefits of the BioTE® pellet treatment; thus allowing athletes and former athletes alike, greater quality of life without pain medications. At BioTE® Medical, our mission is to facilitate the transformation of modern medicine with innovation and passion for wellness and vitality through comprehensive hormone balance. Consistently representing integrity, excellence in productivity, and a willingness to serve the needs of our practitioners and the patients they care for. Comcast-Spectacor, which operates in 48 of the 50 United States, is the Philadelphia-based sports and entertainment company which owns the Philadelphia Flyers (NHL), the home arena for both the Flyers and the NBA’s Philadelphia 76ers, the Wells Fargo Center, and four Flyers Skate Zone community ice skating and hockey rinks. In addition, Comcast-Spectacor is also the principal owner of Global Spectrum, the fastest growing firm in the public assembly management field with more than 120 facilities throughout the United States and Canada; Ovations Food Services, a food and beverage service provider; Front Row Marketing Services, a commercial rights sales company; FanOne, a digital fan marketing company; and Paciolan, the leading provider of venue enablement, ticketing, fundraising and marketing technology solutions. 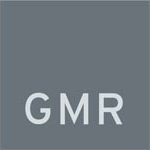 GMR Marketing is a global, full service engagement marketing agency that blends offline and online marketing to create branded experiences, leveraging the consumer passion areas of sports, music, entertainment, and lifestyle. Our industry recognized sports marketing practice provides strategic consultation, negotiation, activation and measurement support to brands such as Visa, P&G, Comcast, NFL, Lowe's, SAP, MillerCoors, Hershey's, BP, and Northwestern Mutual among others. Our 800+ employees located in 20 offices across 10 countries, provide specialized expertise in consulting, creative, digital, mobile, social, content development, event production, staffing and measurement. Hood envisions designs and produces immersive branded environments that help our clients deepen engagement with their customers. We’ve been in business for twenty-four years. Simplehuman, Yahoo! and David Copperfield. At Hood, we’re creating a new breed of branded environmental design – a company that’s innovating at the intersection of physical spaces, technology and brands. We believe in listening -- to your needs, to your marketing strategies, and to your customers to understand their mindset and the conditions that drive purchase. We believe in collaboration – you can count on us to ask the right questions and offer an informed point-of-view. We believe in the power of brands – which is why we will study your brand in depth to clearly understand its relationship to consumers and your marketplace. We believe the experience is everything – our passion is seeing people enjoy the experiences we create, and how that makes our clients more successful. PermaCard offers a complete line of innovative brand activation, sponsorship marketing solutions, and promotional items specifically designed for professional and collegiate teams. With our PermaCard® products, we deliver personalized laminated applications for teams and sponsors to engage with their audience. Whether you’re looking for a unique in-stadium giveaway or a personalized mail piece to touch your season ticket holders and fan base, we’re confident we have a solution to fit your needs. Modern Marketers choose Oracle Marketing Cloud to build customer obsessed cultures, create and manage ideal customers, and power revenue performance. They use award-winning technology and expertise to transform marketing by truly knowing the customer, engaging with cross-channel marketing, and achieving data driven accountability. Integrated information from cross-channel, content, and social marketing with data management and dozens of AppCloud apps enables these businesses to target, engage, convert, analyze, and use award-winning marketing technology and expertise to deliver personalized customer experiences. Marketing Simplicity. Gain the most comprehensive view of customer data. Simplify marketing complexity with the most powerful cross-channel platform. Deliver personalized content at each step of the customer journey. Customer Centricity. Capture data and use a single customer profile for every marketing process. Recognize every customer as an individual. Engage customers intelligently with content in context to deepen the relationship. Enterprise Ready. Consider the advantage of a single unified solution that marketers love and IT trusts. Connect all marketing technology on one platform. Unify your data and execute programs across all digital channels. Van Wagner Sports & Entertainment LLC (VWSE), a wholly-owned subsidiary of Van Wagner Group LLC, is one of the preeminent sports marketing and media sales organizations in the world. It is an acknowledged innovator in property consulting and branding solutions and a global leader in naming rights, team and venue services, high-impact visible television signage, premium ticketing, sales, technology design and integration, and in-venue content production. VWSE assists organizations and properties in creating and selling programs and media that maximize revenue potential, and helps clients develop powerful customized brand campaigns. VWSE works with more than 200 professional and college teams and some of the top sports properties in the world. 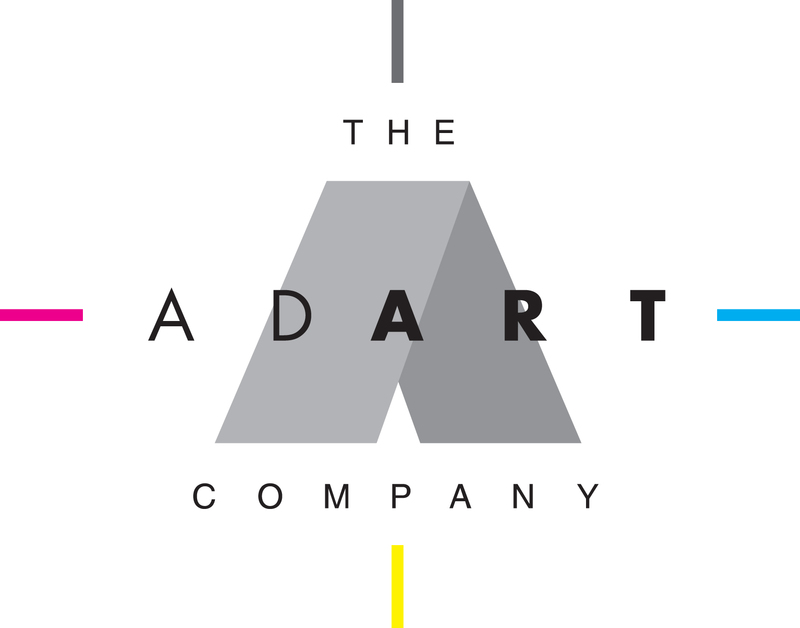 What exactly does The AdArt Company do? In short, we design, engineer, and print signage and displays for a variety of brands and retailers. We house the latest in digital, screen and litho printing technology all under one roof to provide you with a true one-stop-shop. AdArt is comprised of creators, problem solvers, and printing experts. Our team relentlessly strives to help our clients bring their stories to life in any environment. We want to be more than just a print vendor for you. We want to be a partner and a teammate, someone who understands your business and makes your job a little easier. Design. Engineer. Print. Finish. Pack. Ship. We do it all. Crown Castle provides wireless carriers with the infrastructure they need to keep people connected and businesses running. With approximately 40,000 towers and 14,000 small cell nodes supported by approximately 7,000 miles of fiber, Crown Castle is the nation’s largest provider of shared wireless infrastructure with a significant presence in the top 100 US markets. In addition, Crown Castle operates approximately 1,800 towers in Australia. Whether indoors or outdoors, we can make sure your facilities are equipped with the necessary infrastructure to address fluctuating demand and give guests access to the services they demand—even in hard-to-reach areas. We’ll be your advocate and act as your single point of contact from start to finish, working with you to design a solution that’s easily expandable and upgradable and that accommodates multiple wireless carriers. And we’ll do it all in a way that blends in with the environment and preserves the integrity and aesthetics of your property. • Expertise: As the leading provider of shared wireless infrastructure for venues, we have a proven history of building quality networks. • Carrier relationships: Using our strong working relationships, we’ll connect you with the carriers who can provide your venue with the service your visitors need. • Long term: You can count on us to be here for the long haul. • Turnkey solutions: We design, build, and maintain cost-effective infrastructure from start to finish. • Discreet, innovative technology: Our infrastructure blends in with your environment while remaining easily expandable. • Focus on venue challenges: We enable access in hard-to-serve, high-traffic, and capacity-constrained areas. Infogroup Targeting Solutions offers precise solutions for specific challenges through innovative, data-driven services and solutions. As the leader in data-driven results, we enable companies to engage and connect with millions of consumers and businesses on a daily basis. It's about providing the right data at the right time through the right channel, delivering real-time business and consumer data, and equipping clients with a complete, tailored solution that streamlines marketing, sales, and operations to boost the bottom line. ITS is committed to our client's ROI goals and knows that powerful, accurate data drives incredible results. Iron Mountain has been a partner to the sports industry for more than 60 years, protecting and preserving some of the world’s most iconic sporting treasures. Iron Mountain is a leading provider to the media & entertainment industry in both physical and digital storage services preserving over 22 million physical assets, 10 petabytes of digital information, and has transferred over 1 million hours of content. Iron Mountain is a storage and information management company, assisting more than 150,000 organizations in 36 countries on five continents with storing, protecting and managing their information. Publicly traded under NYSE symbol IRM, Iron Mountain is an S&P 500 company, a member of the FORTUNE 1000 (currently ranked: 726), and a member of FTSE4Good index. 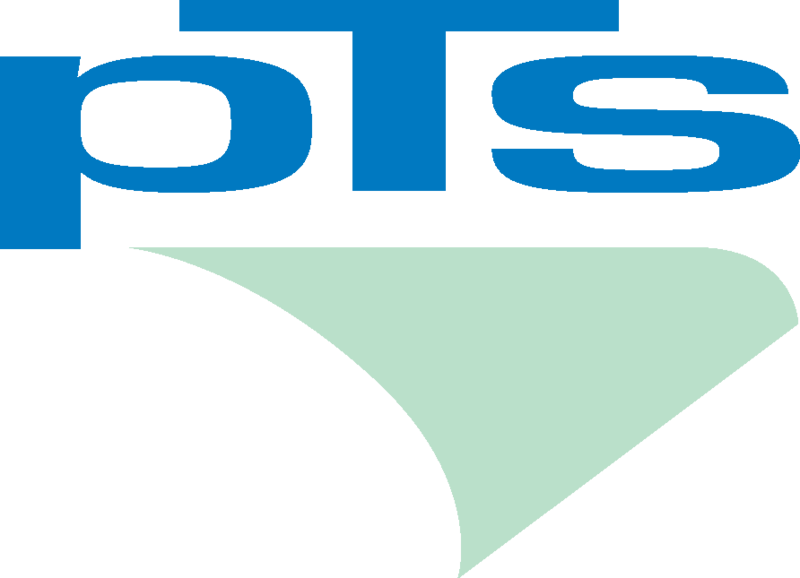 PTS Marketing Group is your Premier Full Service Printing and Marketing Company headquartered in Anaheim, CA. From strategic planning to creative and branding, from graphic design to delivering digital and print media, we specialize in engaging your audience: We help you define your company’s brand and team messaging and establish an online identity through creating your own marketing portal; we design all your collateral and even print and deliver direct mail pieces for your campaigns. With over 150,000 square feet of manufacturing capabilities, we become truly your one stop marketing partner. As a company, we take pride in giving attentive and friendly customer service, while taking your projects from concept to completion, and working closely with our clients to strategize printing and marketing requirements. Since 2004, PTS has had the pleasure to work with the following sports and marketing organizations; The Anschutz Entertainment Group, MLS, NFL, NBA, MLB, NHL, US Soccer, Auto Club Speedway, PGA, NCAA and many youth sports organizations. Service, innovation, and authenticity is the name of the game. When it comes to memorable game day experiences, fan engagement, and brand activation, no one is as comprehensive as the team at Access Pass & Design. Access Pass & Design collaborates with professional and collegiate sports organizations, brands, and agencies to develop event credentials, hospitality passes, and marketing collateral that is authentic and easily identifiable. Whether you’re in a league, operating a racetrack, or activating a brand, we provide insight and strategy for style, brand amplification and measurable ROI. We uphold a relentless dedication to service, adapting to the requirements of your event to become your ultimate partner in the live event industry. As one of the nation's leading large format printing and structural signage companies, bluemediaTM decided long ago to set the bar for quality and dedication in our industry. As a result, you can completely rely on our state-of-the-art print technology and 55,000-square-foor production facility, as well as our professional, detail-oriented project managers and award-winning design team. Everyone at bluemediaTM is a creative problem solver,and we're all focused on your success. From banners to buliding wraps, fleet graphics to structural signs, we're committed to doing whatever it takes to make it perfect, every time. InfinityVIP is a Texas-based digital agency that has help such brands as the Tennessee Titans, the Dallas Cowboys, Larry Fitzgerald, World Poker Tour, Zig Ziglar, Cal Ripken Jr, Greg Jennings, the Dallas Stars, the Harlem Globetrotters, CJ Wilson, Deron Williams and hundreds of others via web solutions & social media creativity and integration. InfinityVIP has had great success in providing proven social media solutions that grow email marketing opportunities while generating thousands of direct dollars to their clients. Loma Media is a creative services and production partner specializing in the development, execution and implementation of strategic video content disseminated across diverse digital delivery platforms including broadcast, online and live events.